I really did spend a lovely day reading How to Get a Job in Publishing, although I took a break to go catch a 1:35 matinee at the Eye Cinema on Lough Atalia, about a half hour’s walk from the city centre. This is my second trip out to the Eye since I’ve been here. Funnily enough, the Eye is a literal stone’s throw away from the old B&B I lived in for four months in 2004. The cinema and adjacent G Hotel were constructed mere moments after I moved back to the States. Last Tuesday was my first visit, when I went to see Anna Karenina, also during the middle of the day. For some reason, I imagined the Eye to be cavernous theaters with the shaking seats and screens approaching Imax capabilities, but it was more of a cozy cluster of smaller theaters, like the Alamo Drafthouse without the foodie-and-boozy atmosphere. I actually liked Anna Karenina more than I thought I would, but I left the Eye feeling very old. When Jude Law and Olivia Williams are successfully cast as members of the stodgy older generation, Keira Knightly feels threatened by some silly young thing, and the kid from Angus, Thongs and Perfect Snogging is playing one of literature’s great lovers – well, it might be time for me to reevaluate my life. I hadn’t known that Irish actor Domhnall Gleeson was in the film. He was so raw and not immediately likable – in short, the perfect Levin. This time watching Domhnall Gleeson’s performance, there was less “oh, he’s just so terribly earnest” and more “I’m sort of taking a liking to this fella.” By the time he uttered the line “Just f*ckin’ do it already. Just f*ckin’ do it already,” I was a Domhnall Gleeson fan. He looks like a Weasley. 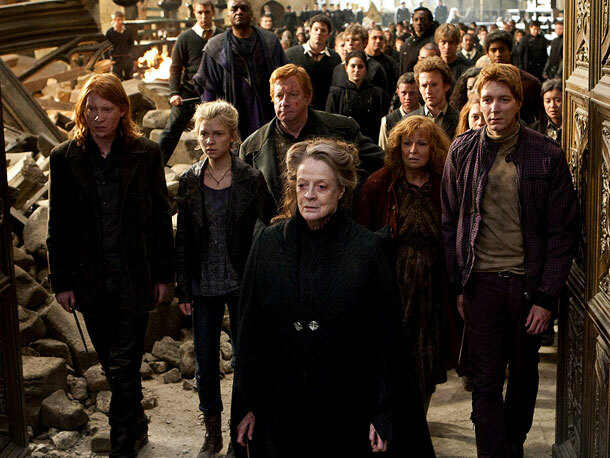 And in fact, he did play a Weasley: Bill, the eldest… he who marries Fleur. Domhnall Gleeson’s real-life family is just as famous and interesting. His father is Brendan Gleeson, who American audiences know most recently from The Guard, as well as Braveheart and Far and Away. He also played Mad-Eye Moody in the Harry Potter films. On my third day here in Galway, I went to a screening of Irish short films on campus, and I am so very glad I did because the films were absolutely fantastic. One of them was Noreen (2010), which stars Brendan and another son, Brian, as dopey garda in County Offaly. Noreen was written and directed by Domhnall. 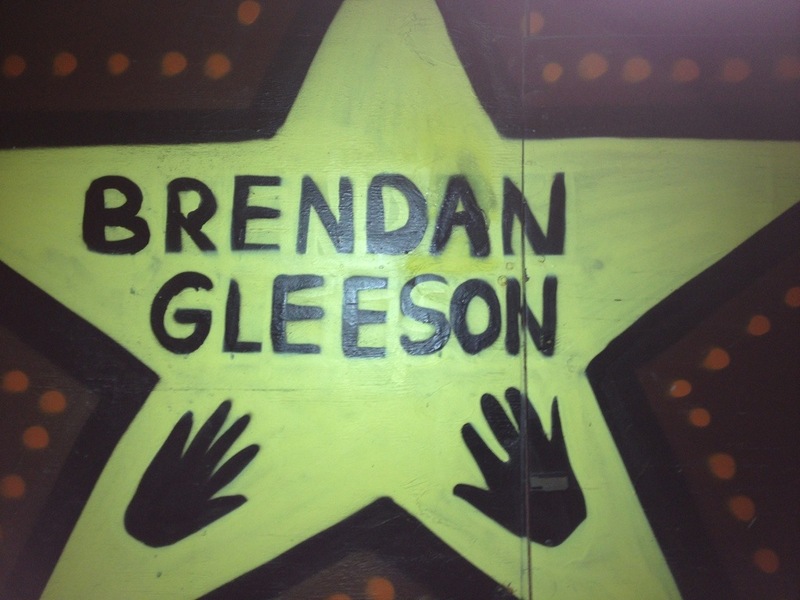 So half the actors in Ireland have the last name Gleeson. I guess they’re the Irish Baldwins? Right next to my current apartment there is a construction site with all sorts of cinematic images painted on the sidewalk scaffolding. I read in the paper last week that it’s supposed to be an art house cinema, set to open in late 2013. It’s possible, just barely possible, that I will be living here long enough to see it. Then I won’t have to walk all the way out to the Eye to see me art house films. “It was done by hooligans?” I asked, repeating what I thought I had heard. “Margaret Williams,” he stated firmly, and retreated down the street a ways. I took a few more pictures, and as he unlocked his front door, he decided to give me another chance. So in a way, I heard correctly: it really was done by hooligans. 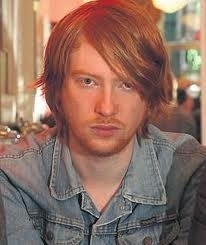 This entry was posted in Serendipity and tagged cinema, Domhnall Gleeson, film by Mandy. Bookmark the permalink.